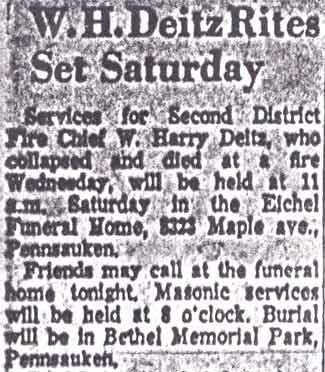 WILLIAM HARRY DEITZ was born in Philadelphia, Pennsylvania on May 16, 1937 to Frank C. and Caroline Deitz. By June of 1917 the family had moved to 153 Maple Terrace in Merchantville NJ, the home of his paternal grandfather, also named William H. Deitz. 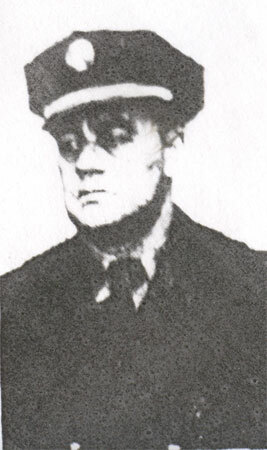 Frank Dietz was then a cab driver for the Black & White Taxi Company in Philadelphia. When the Census was taken in 1920, young William Dietz and his mother were still living in Merchantville. 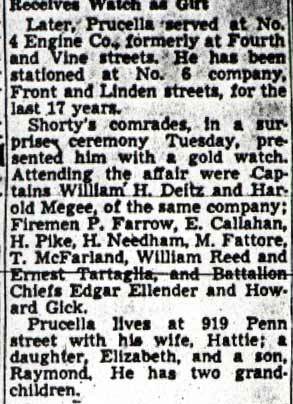 By the time the 1924 Camden City Directory was compiled, William H. Deitz's mother had married a Camden fire fighter, George W. Attison. The family was then living at 314 Royden Street in Camden NJ. When the Census was taken in April of 1930, William H. Dietz, mother Caroline and step-father George Attison had moved to 511 Royden Street. George Addison was still a member of the Camden Fire Department then, and while his stepson William was at the time working as a cook's helper in a hotel kitchen, he would soon follow in his stepfather's footsteps. Among their neighbors was young William Bovell, who lived around the corner (or over the back fence, depending how you looked at it) on Clinton Street, who sadly would die in a Japanese prison camp in the Philippines during World War II. 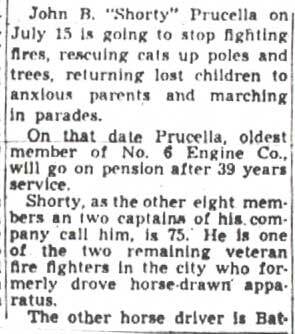 Another neighbor, Mary McClyment, who lived on Williams Street, would make front page headlines more than once in Camden newspapers during the 1930s. 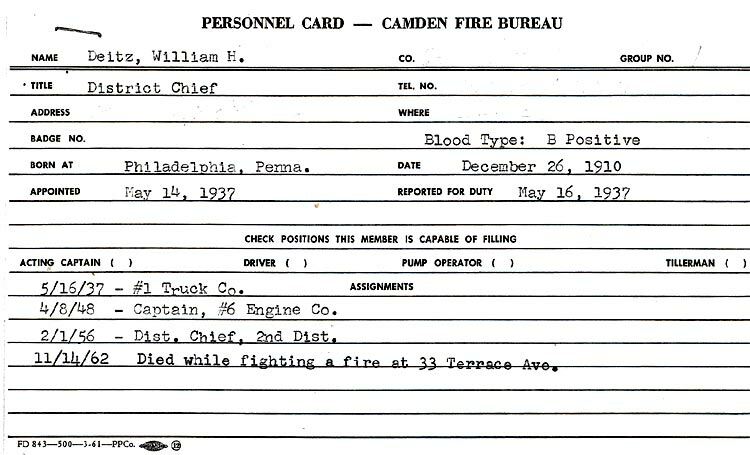 William H. Deitz became a member of the Camden Fire Department on May 16, 1937. Her served for the first 11 years of his career with Ladder Company 1. 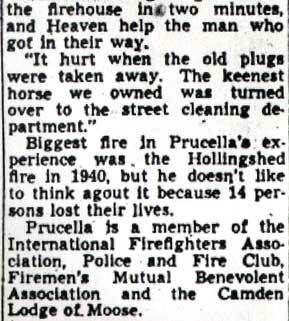 He was promoted to Captain and assigned to Engine Company 6 at 337 North Front Street in North Camden on April 8, 1948. 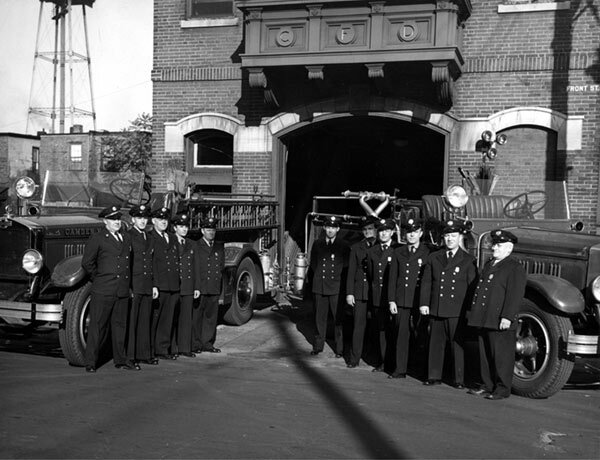 During this time he served at Engine 6 with, among others Captain Harold Megee, and Fire Fighters John "Shorty" Prucella, Mario Fattore, Philip Farrow, Robert Dukes, Harrison Pike, Edwin Callahan, Thomas McParland, Thomas Winstanley, James Stewart, William Reed, and Howell S. Needham. The Deitz family was living at 4120 Westfield Avenue when the 1947 Camden City Directory was compiled. 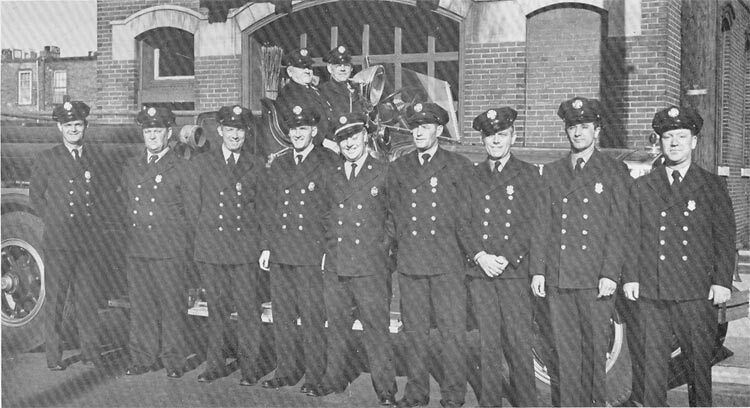 On February 1, 1956 William H. Deitz was promoted to District Chief, the rough equivalent of today's Battalion Chief. The Deitz family remained East Camden residents in these years. 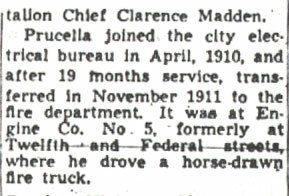 Chief Deitz was active in the Rosedale Civic Association, the Rosedale Boy's Club and the East Camden Marauders, a youth sports organization. He was also a member of Audubon Lodge 318, Free & Accepted Masons. 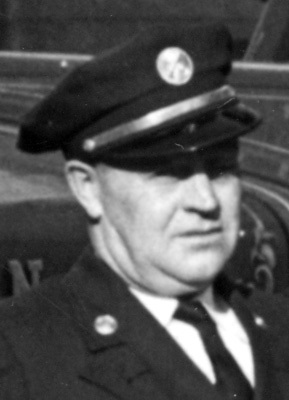 Chief Deitz suffered a fatal heart attack at the scene of a fire at 33 Terrace Avenue on November 14, 1962. Last a resident of 33 South 32nd Street in East Camden, he was buried at Bethel Cemetery in Pennsauken NJ. He was survived by his wife, Florence M. Deitz, son William, and daughters Dorothy and Roberta, as well as his mother and stepfather. Harrison Pike, Mario Fattore, Edwin Callahan. 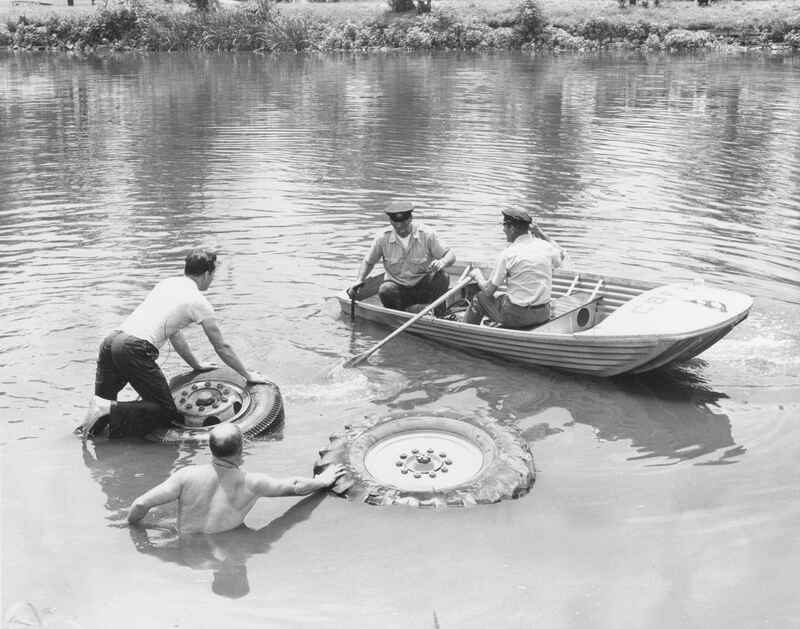 July 18, 1960- An industrial accident with a fatality, at the Cooper River at Baird Avenue. A Front end loader flipped off embankment pinning the operator underwater. In the foreground without shirt: Battalion Chief William Deitz, 2nd Battalion, who first arrived at scene and attempted rescue of operator. Members of Rescue Company 1 are Fireman Edward Brendlinger (kneeling on the machine's wheel) and Firemen John Mogck Jr. and James McGrory in the boat. 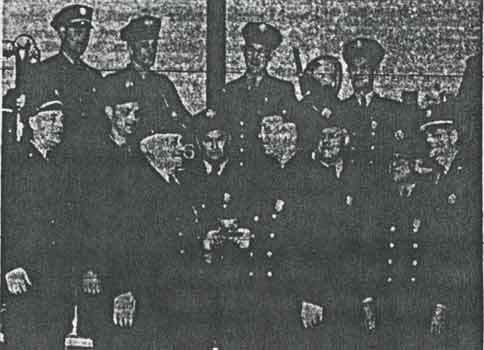 Battalion Chief Deitz would later be killed in the line of duty and Fireman John Mogck would become Chief of Department. 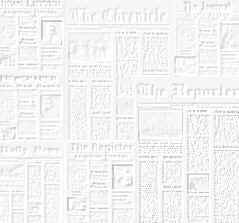 Second District Fire Chief W. Harry Deitz, 52, a 25-year veteran in the Camden Fire Department, collapsed and died Wednesday night. Chief Deitz was directing operations at the home of Mrs. Bernice Fox, 41`, at 33 Terrace Avenue, where a fire was burning in the cellar. The chief, who was inside, told Fore captain Thomas Winstanley he was in need of fresh air and walked outside. There he spoke with Patrolman Douglas Tydeman about a car parked in front of a fire hydrant which had prevented hooking up a pumper. He collapsed and was placed in a police cart where he was given oxygen as he was rushed to Cooper Hospital. He was dead on arrival. Coroner Creran ordered an autopsy today. 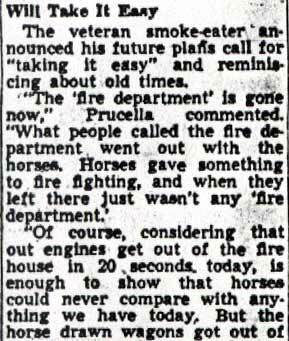 Chief Deitz was appointed to the fore department in 1937, and was made a captain in 1948 and district chief in 1955. Eligible for retirement since may, he planned to leave the department in January. He lived at 33 South 32nd Street. 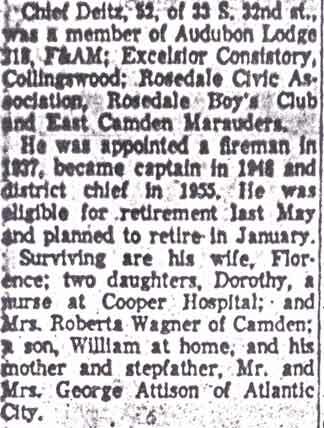 Surviving are his wife, Florence; two daughters, Dorothy, a nurse at Cooper Hospital, and Mrs. Roberta Wagner of Camden; a son, William, at home; and his mother and stepfather, Mr. and Mrs. George Attison of Atlantic City. At the fire, damage was confined to the basement. Mrs. Fox was on the second floor and her two children, Diane, 14, and Bert, 8, were on the first floor when the fire started. Bert ran upstairs and gave the alarm and Mrs. Fox called firemen.